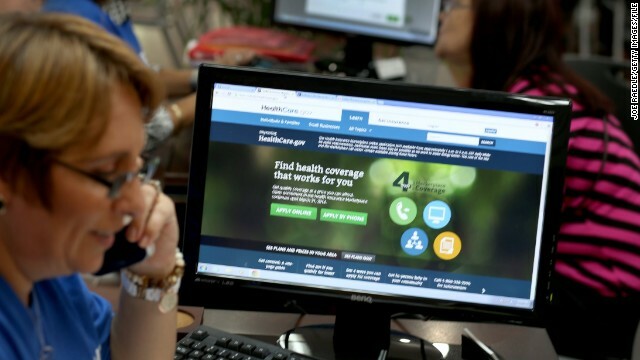 (CNN) – The Obama administration announced Friday that the Department of Health and Human Services will extend a key Obamacare deadline by one week. Americans can now sign up through December 23 in order to have health coverage start on January 1, according to Julie Bataille, a spokeswoman for Centers for Medicare and Medicaid Services. December 15 was the original deadline for coverage beginning January 1. "We realize that many consumers who are seeking coverage in January may have experienced frustration with the site,” Bataille said in a conference call with reporters. “In response, HHS intends to extend the date by which consumers need to enroll in a plan in order to get coverage on January 1st … This extension will give consumers more time to review plan options, to talk with their families, providers or enrollment assisters and to enroll in a plan." It is not entirely clear how the change will be enacted to enable insurers offering policies on the exchanges to process applications. Bataille said in future months, an application will still have to be completed by the 15th in order to secure insurance by the first of the next month. People buying policies will have to make their first premium payment on or before December 31 in order to be insured on January 1. Bataille said the administration has been in contact with insurers about the change, but final details would not be spelled out until an official policy announcement could be made in the near future. The final deadline to purchase insurance or face a penalty is March 31, 2014. There has been no change in that date. "We think that a six month long open enrollment period is a significant amount of time for consumers," said Bataille. But the administration did announce a delay in some deadlines for the 2015 enrollment period, which will now begin November 15 of 2014 instead of October 15. That change, according to Bataille, was made to enable insurers to get a better sense of how their Obamacare programs work during the first coverage year. The enrollment period extension comes as government officials and contractors scramble to bring healthcare.gov, the troubled federal website, up to scratch. Jeff Zients, the management consultant brought in to oversee the frenzied effort to fix the website, said Friday that the government is on track to meet its goal of having the website functioning for most users by the end of November. "The system will not work perfectly," he said of the end of November goal. "But it will operate smoothly for the vast majority of users." He argued the website has already seen bounds of improvement over its disastrous October 1 rollout. The site's error rate, he said, has been driven from 6 percent early in November to less than one percent over the past week. The website will be taken down for 12 hours from 9 p.m. ET Saturday, November 23 through 9 a.m. Sunday in order to make more updates to the site's infrastructure. Zients said the upgrades will enable the site to double capacity – from more than 20,000 to more than 50,000 simultaneous users – by the end of the month. The other goal he articulated was to enable 800,000 customers to visit the site, which operates the health insurance exchange in 36 states. There will still, he admitted, be periods where the site's capacity is maxed out and users would not be able to log on. To deal with these periods, he said the government would be installing a new "consumer-friendly queuing system" that would send users an e-mail with a better time to access the site. Zients was asked by a reporter Friday if he could guarantee that users would be able to access the site by the end of November. "Yes, we think this is the capacity we need to reach everyone we need to reach over this period of time," he said. You mean they will have the part of the web site done by then that allows people to actually PAY for what they have bought? How nice! I doubt it. Now you more time to choose an Obamacare plan with higher rates! Huge deductibles! Order now and get a Sebelius snuggle doll. The bargain doesn't stop there! Order now and get this free self-assuring feeling that the same people that hand out billions of dollars in refund checks to dead people, the IRS, will be head hunting those who don't have insurance. Obamacare... Because you are federally mandated to. Amateur hour at the white house has become a mini-series. What is the average or range of monthly premiums for the plans offered at the ACA marketplaces? What is the average or range of deductibles? I'm trying to make a more informed decision, but can't find any helpful (factual) figures. It look more and more Obama Care headed to Bone Yard. Yeah, just what people want to be doing just before Christmas, sweating bullets about having healthcare coverage because your President lied to you and his political party thinks you're too stupid to know what you need and can pay for. You RWNJs should be celebrating, you get to keep your worthless junk policies for another year. For only representing 6 tenths of one percent of the population, you sure do whine loud. Has any one signed up for the republican health care plan yet? It look more and more Obama Care headed to Bone Yard." Eh, you better hope so. A LOT of prognostication going on, with little analysis based on data. Not just you, either, Son-of-a-Gunderson - the media, too. I'd like to see where we are in a year before I start thinking about boneyards.